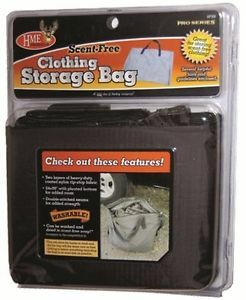 Our Scent-Free Storage Bag is 24 x 30 with a pleated bottom for added room. 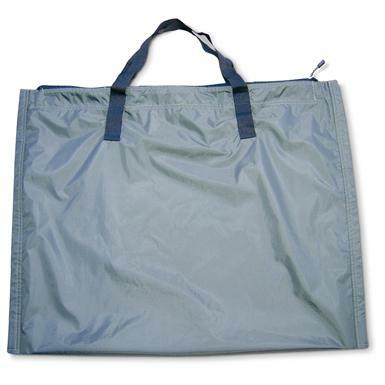 It is made of a washable, coated, heavy-duty nylon rip-stop fabric. The dual inner and outer layer of fabric will ensure that it is not only waterproof, but as air tight as possible.